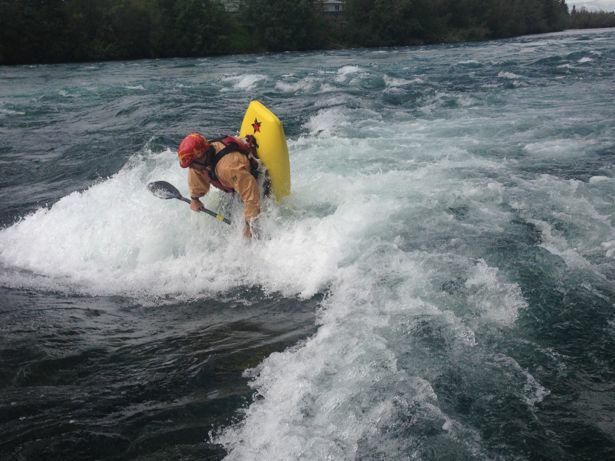 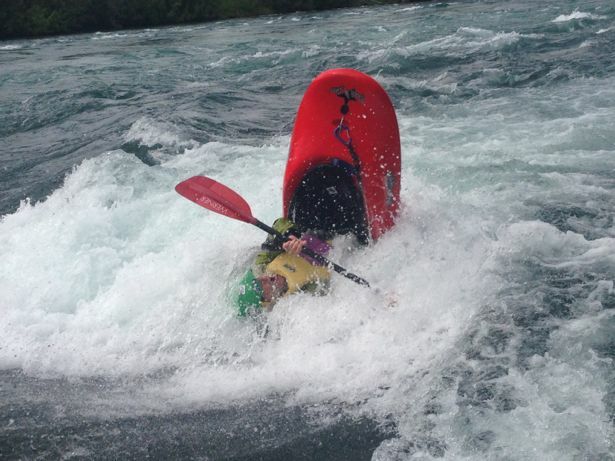 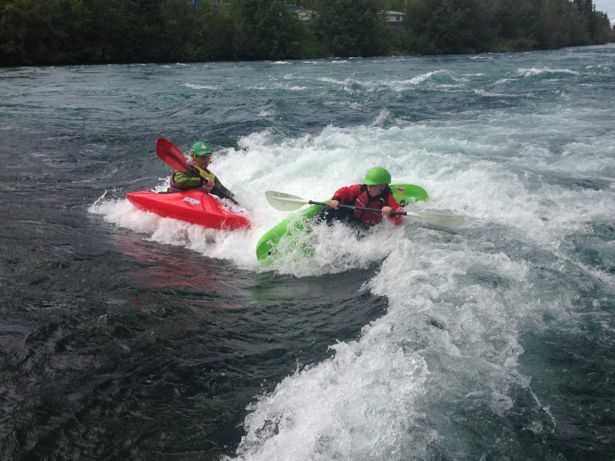 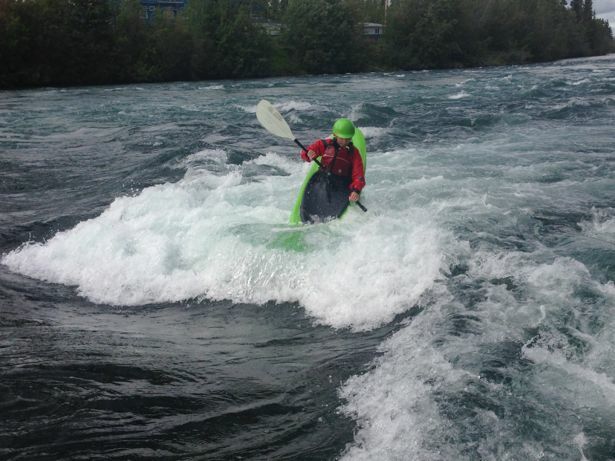 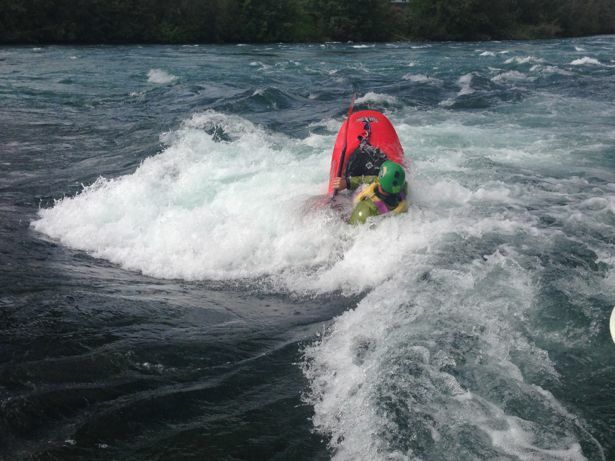 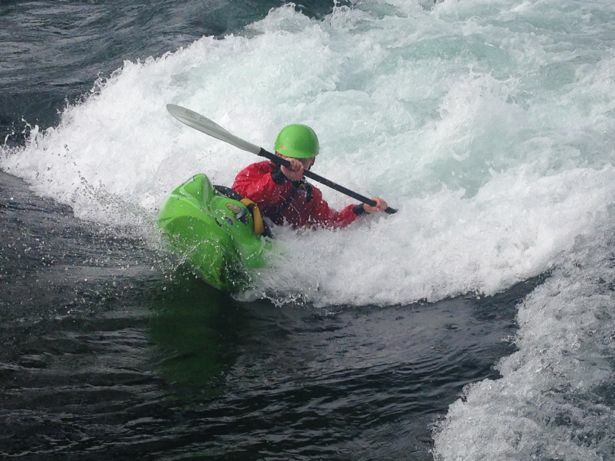 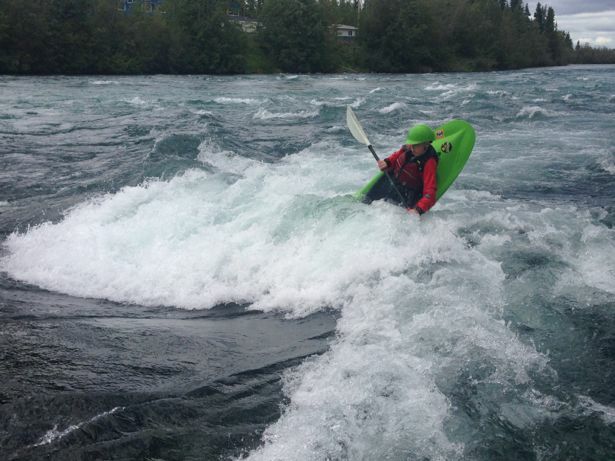 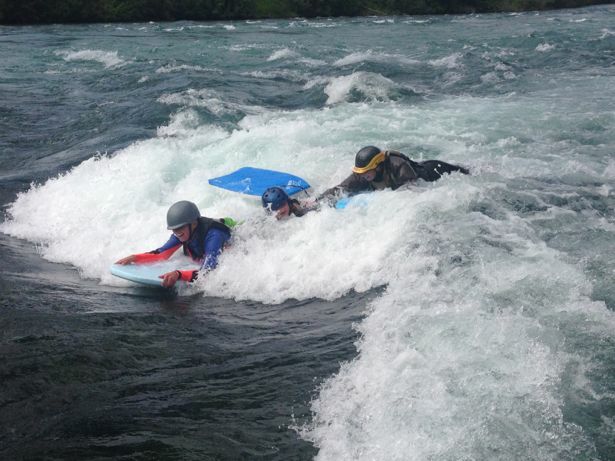 Our local spin wave on the Yukon River is a great park and play spot – both for kayaking and for boogie boarding. 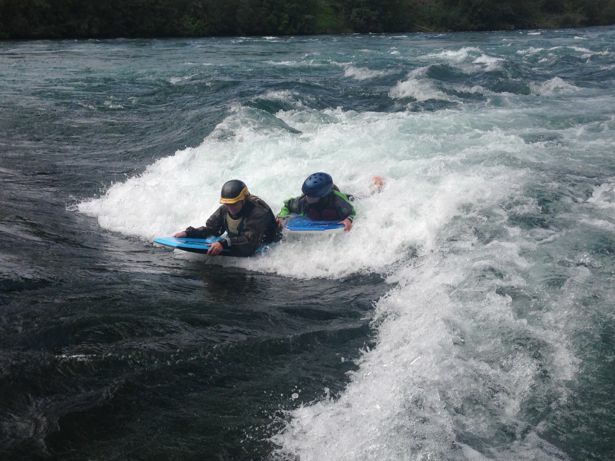 It is a small fluffy hole that allows you to front surf, side surf and throw some freestyle moves like loops, cartwheels etc.. 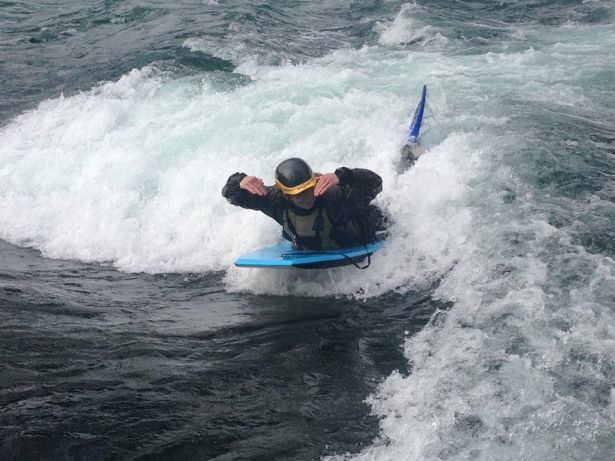 It was a rainy dreary day yesterday so we headed out to the spin wave with some friends to play. 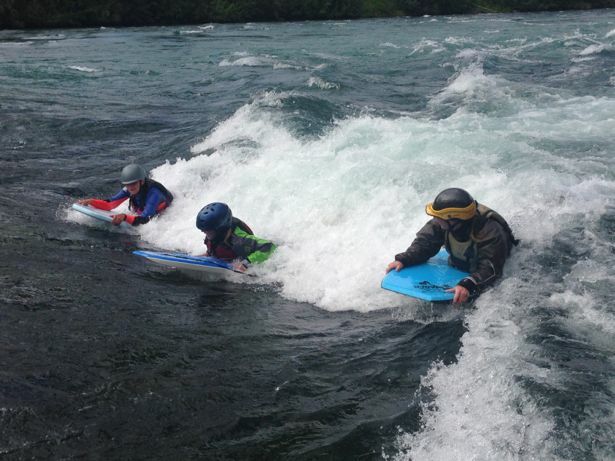 It was a great mash up of 5 kayakers and 3 boogie boarders, with the tricks getting bigger and bigger as the afternoon went on!